This week I got some unexpected exposure for my etsy shop. 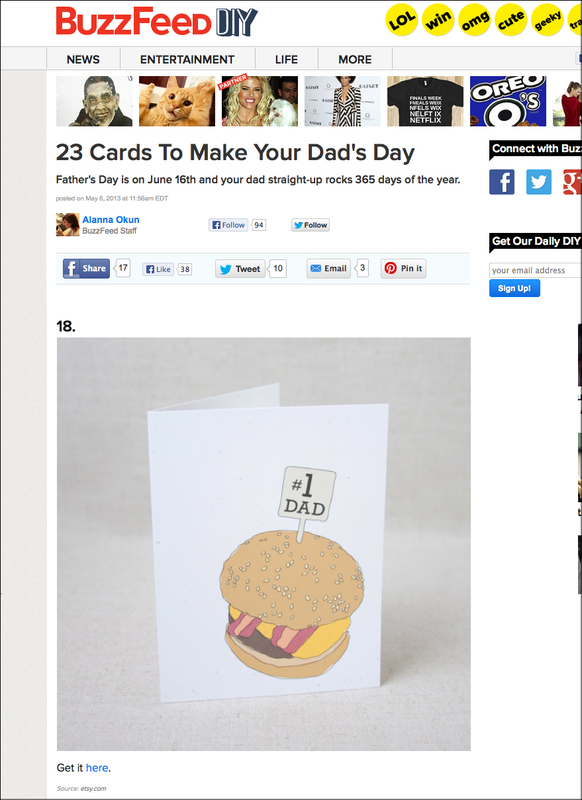 I discovered that BuzzFeed had listed one of my Father’s Day Cards on their list of 23 Cards to Make Dad’s Day! I was pleased to get the feature and generate more traffic to the shop – especially without doing anything. How cool is that? It totally made my day! You can check out that, and more Father’s Day cards here in my shop. When was the last time you got some unexpected good news?